As the most well-known queen of the Tudor dynasty, Elizabeth I is also one of the most fascinating figures in all of history. She is most recognized in the history books for accomplishments such as the defeat of the Spanish Armada and her success when it came to colonial expansion. We can also thank her for her patronage of literature and the arts as she supported the work of men like William Shakespeare throughout her reign. Though despite her numerous accomplishments, there was also lots of drama surrounding her personal life during her reign. Elizabeth’s life outside of ruling her country was pretty complicated mostly due to one simple fact: she never married. During this time it would have been extremely uncommon for a woman to have a legitimate claim to the throne and be allowed to run the country alone. There was a lot of pressure for women in particular to marry to secure political alliances and to cultivate a sense of stability that it was believed only men could provide. Elizabeth played with the idea of marriage many times, but ultimately chose to rule alone. This fact left the door wide open for all sorts of rumors and insinuations to begin circulating about the “Virgin Queen”. The problems that plagued Elizabeth’s personal life began from the moment she was born, starting with the fact that she was not born a boy. Her father Henry VIII became obsessed with Anne Boleyn so much so that he divorced his first wife and broke his relationship with the Pope . Upon being married to Anne, she promised to provide him with the male heir that he desired. Elizabeth was the first and only surviving child of the couple as Anne suffered 3 miscarriages and fell from Henry’s good graces. This resulted in Elizabeth being declared illegitimate following the annulment of her parents marriage. Elizabeth’s mother Anne was beheaded by her father King Henry before she reached the age of 3, so in reality she never really knew her mother. After her removal from the line of succession, Elizabeth was raised by a series of governesses and remained mostly out of sight of her father the majority of her life. She is reintroduced to court after the death of her father when she is 13 years old. Henry’s last wife Catherine Parr then reintroduced Elizabeth to court where her younger brother Edward is now king. Upon her return to court, Elizabeth is said to have become wrapped up in some sort of relationship with Catherine’s new husband, Thomas Seymour. This man was the brother of the Lady Jane Seymour who became Henry’s wife following the execution of Anne Boleyn. Thomas and Elizabeth had a very close relationship at one point, so much so that it spurned rumors two were involved in an affair of some sort. There are reports that Seymour exhibited inappropriate sexual behavior towards his 14-year-old step daughter which of course led to many rumors circulating about the two. There were many accusations leveled against Thomas, and most of them came from the servants that worked in the family home. Some of the claims made about the man of the house included, coming into her bedroom early in the morning before she dressed, climbing into bed with her, spanking her, and even cutting her dress to shreds while his wife held her down. The fact that this man had proposed to her shortly after her father’s death – and only married Catherine when Elizabeth said no – does not help the situation either. These events definitely bring up the question of Elizabeth’s status as a virgin as it seems possible her step father may have taken advantage of her, though no one actually knows for sure. Following an investigation into Seymour’s conduct, it was believed it would be best if Elizabeth left court, and she was, yet again, cast aside. Catherine Parr then died in childbirth shortly thereafter, but that did not end Elizabeth’s connection with Seymour as it should. After the death of his wife, Thomas continued to pursue Elizabeth, even going so far as to seek her hand in marriage again. When she spurned his advances, he then plotted to kidnap the boy king Edward, marry him to his cousin Lady Jane Grey, and then marry Elizabeth himself in order to control the throne. Though his planned failed and he was arrested for treason, these events followed Elizabeth much of her life, calling into question her loyalty to the crown. When Elizabeth was 19, her brother and king Edward VI died without a legitimate heir to the throne. The line of succession is something that has long been disputed within the Tudor dynasty, and when Edward died, the fight for the throne intensified. Due in part to differing religious views, Edward declined to name either of his half sisters as heir, but instead initially chose his cousin to succeed him. That did not last long, and the throne did eventually pass to his sister Mary, and then eventually to Elizabeth. Upon taking the throne in 1558, Elizabeth was single, and therefore became one of the most eligible bachelorettes in Europe. This lead to many suitors across the continent pursuing Elizabeth’s hand in marriage. One of the first to be considered was Philip II of Spain, which was an odd choice for one main reason: he was the widower of her half sister, Mary whom she succeeded on the throne. Being the strong, independent woman she was, Elizabeth really did not want or need to have her sister’s old husband… so she sent him back to Spain to pursue other options. The next serious suitor on her list was Francois, Duc of Anjou. Elizabeth initially considered this union for political purposes, and one way to ensure her interests were protected was to marry the brother of the French King. Marriage negotiations went on for years, and the pair did actually developed feelings for each other. Elizabeth first turned down the initial proposal; then she changed her mind and said maybe. Elizabeth then accepted and made an official announcement of her betrothal. It is then said that in as little as 24 hours she changed her mind again, and declined to marry the Duc, therefore leaving her single again. Another well known suitor of Elizabeth was Eric of Sweden. He pursued Elizabeth for years, writing her numerous love letters to try and woo her into becoming his bride. She dragged out her responses and kept him on the hook for many years until finally she decided to move on. After receiving her final letter of rejection, Erik did stop his pursuit of her and became King Eric XIV of Sweden. Turns out Elizabeth actually dodged a bullet with this union as Eric slowly went insane and was readily assassinated by his people. The last suitor that Elizabeth entertained was a young man named Robert Devereux. 30 years his senior, the two were introduced when his step father, Robert Dudley, brought him to court. Elizabeth is reported to have been taken with the brash and outspoken young man and the two developed an affectionate relationship. It is still somewhat unclear if proper marriage negotiations took place but, nonetheless, Robert became a favorite of the queen in her old age. This odd relationship came to an abrupt end when Devereux was tried and found guilty of treason and ultimately beheaded at the order of the Queen that loved him so dearly. From the beginning of her reign, Elizabeth seemed to have an obsession with one man: Robert Dudley. The love story of these two extended all the way through Elizabeth’s reign, and was often cause for much negative speculation. There are many who believe that Elizabeth’s love for Dudley is the true reason that she never formally married. Whatever the reason is, the relationship between these two lovers is one that fascinates many today, and adds to the err of mystery surrounding Elizabeth’s personal life. Though Elizabeth and Robert had known each other all of their lives, their life paths took different turns early on. They reconnected during the reign of Elizabeth’s sister Mary at a time when both were somewhat in danger of being executed due to their protestant religious beliefs. When Mary’s reign came to an end in 1558 and Elizabeth took the throne, Robert was right there by her side. It became abundantly clear early on that Robert never left the Queen’s side, and this of course spurned the rumor mill as to what was really going on between the two. What complicated matters even further at this point, is that Robert was already married. Amy Dudley was Robert’s wife at the time he was in court with Elizabeth. History looks at Amy with much sympathy, especially since it appears that her husband essentially abandoned her to suffer through a severe illness alone. Suspicion also fell on her husband when she met a tragic end and was found dead in the family home while her husband was with the Queen. There has never been any evidence that Robert contributed to his wife’s death, but rumors would haunt he and Elizabeth for years to come. Upon the death of his wife, technically Robert was now free to marry whoever he wanted, and who he wanted was Elizabeth. Unfortunately the circumstances surrounding the death of his wife basically made this impossible, much to the couple’s dismay. Elizabeth could potentially lose her throne and throw the country into complete chaos if she married Dudley. Despite the fact she declined his multiple marriage proposals, she was adamant that he never leave her. Therefore the couple did have a bit of a falling out when Dudley married the Queen’s cousin Lettice Knollys. Though she was initially furious, Elizabeth did forgive Dudley and the two managed to reconcile. You would think that the drama in Elizabeth and Dudley’s relationship would have run its course by this time, but shortly before Robert’s death in 1588, a young man named Arthur claimed to be the child of Dudley and Elizabeth. Historians debate the accuracy of this claim, but in looking back at the circumstances of the time, it appears to have been a possibility. Considering the suspicion around Dudley for the death of his wife, and a coinciding “illness” that kept Elizabeth out of the public eye, some think that there may have been some legitimacy to this claim. Yet, despite the many things that tried to tear them apart, Elizabeth and Robert remained close friends until his death. The nature of Elizabeth’s personal life leaves us with and interesting picture. This woman, during her reign, experienced multiple marriage proposals, rumors of infidelities, accusations of murder plots, and even rumors of an illegitimate love child. Despite all of the drama she encountered, Elizabeth was a woman before her time in many ways. She ran a government, protected her country, and loved who she wanted in a time where most women did not have such luxuries. Her relationships and marriage proposals arguably helped build her into the ruler she became. Some might say her decisions lead to the end of the Tudor dynasty, but to many Elizabeth left behind a legacy that made the Tudors the iconic family of English royalty that we know today. 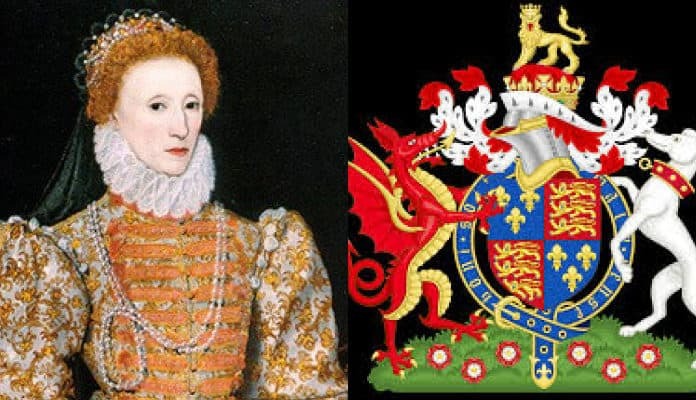 Did Thomas Seymour Sexually Abuse The Teenage Princess Elizabeth? HistoryExtra.com. May 2017. Queen Elizabeth I, England. Carlynn Beccia. RacousRoyals.com.